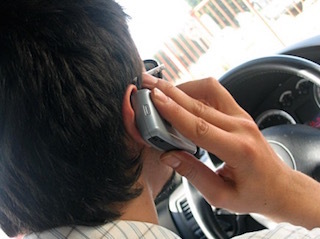 Our Miami Personal Injury Lawyers at the Wolfson Law Firm have seen a drastic increase in wrongful deaths and serious injuries attributable to distracted driving over the last five years. If you or a loved one were injured or killed in an accident where you suspect distracted driving played a factor, you should call the personal injury attorneys in Miami who can help you and your family. Just call the personal injury professionals at the Wolfson Law Firm at (305) 285-1115 for your free consultation today. We will investigate the car crash and determine all of the contributing factors that led to your harms and losses. Our car accident lawyers in Miami will aggressively represent you in pursuit of full, fair and complete compensation. While our Miami Car Accident Lawyers and Attorneys have been helping personal injury victims for over 60 years, distracted driving accidents have skyrocketed in a few short years. Not surprisingly, the increase in distracted driving injuries and deaths coincides directly with the explosion of technology – especially the cell phone. According to Centers for Disease Control and Prevention, National Center for Injury Prevention and Control distracted driving is a growing and serious problem. It is estimated that every day more than 8 people die and 1,161 more are injured in car wrecks that are reported to involve a distracted driver. Distracted driving drastically increases the odds of a car crash. Distracted driving is simply driving with less than your 100% attention. If the driver is doing something other than driving, the chances are greatly increased that a distracted driving accident will happen. Manual Distraction: when you use your hands for something other than driving such as texting, eating, drinking, adjusting navigation systems, emailing, shaving, applying make-up or anything else where your hands are not on the wheel. Driving with your knees is not recommended or allowed. The Miami Car Crash Injury Lawyers at the Wolfson Law Firm regard texting as the most dangerous type of distraction because it involves all three types of distraction. In the act of a simple text, the driver’s mind is distracted by engaging in the texting conversation; the texting driver uses his or her hands to send a text instead of being on the wheel; and most of all, the visual distraction of reading and responding to the text. Motorcycle Accidents – It goes without saying that texting while driving a motorcycle is just a bad idea. But distracted drivers also swerve into and run over motorcycle riders and their passengers resulting in serious personal injuries and wrongful death. Truck Accidents – Distracted drivers may include a truck driver. Many hard working truck drivers are working against the clock. Time is money. Truck drivers also use navigation systems like Waze, Google Maps, TomTom, Garmin and other GPS navigation systems. Again, while these devices can assist a driver, they can also distract the driver. Drunk or Impaired Drivers – When you add alcohol or drug use to distracted driving actions you are really asking for trouble. Cognitively, manually, and visually drunk or impaired drivers are a menace. If they are texting on top of everything else, that is a recipe for disaster. Bicycle Accidents – Bicyclists, like pedestrians, are at risk for injuries and death from distracted drivers. It should also be clear that the same rules that apply to auto drivers and motorcyclists also apply to bicycle riders. In other words, bicyclists should not be texting either. Uber or Lyft Driver and Passenger Accidents – The same distracted driving dangers place us all at risk are the same that Lyft and Uber passengers and drivers face every day. The costs of distracted driving can be catastrophic. Over 6000 people were killed in 2012 and 2013 in car wrecks involving distracted drivers. In 2013, over 400,000 people were injured in distracted driving car crashes. In the same year, almost one in five accident injuries involved distracted driving. One of the most important tasks for our Miami Injury and Wrongful Death Lawyers is proving our client’s case to achieve full, fair and complete compensation. Our job starts with a proper and full investigation. Proving distracted driving as a cause of injuries or death can be especially challenging. We start with the premise that the defendant driver will admit nothing. In fact, our strategy is to file a lawsuit and get the defendant driver committed to their position under oath. Once the driver swears under oath that they were not distracted at the time of the car wreck we can begin to discover the truth. How do our Miami Lawsuit and Litigation Lawyers uncover the truth about your distracted defendant? We start with the same thing that caused the increase in distracted driver injuries and death – technology. Our car crash injury lawyers subpoena all phone records. We also seek to obtain “black box” recorders that exist in later model vehicles. If there is any type of video surveillance in the area of your car wreck we will subpoena those tapes to see if we can get a better idea of what happened. If the video tapes show a distracted driver drifting into other lanes before a car crash, it will help build a picture of what led to your injuries. We employ the necessary experts. Some cases require physicists, other cases need an accident reconstruction expert. A new and developing field of expert testimony is concentrated on human factors and cognitive, manual and visual distractions. Once we accumulate the evidence and meet with our team of experts, we can then put together a full picture of what exactly happened to you and your loved ones. When we have the liability portion of your case secured, we will also work with your doctors to make certain we present a compelling demand to the responsible party and their insurance company. If they fail to respond with a reasonable offer, the Personal Injury Lawyers in Miami at the Wolfson Law Firm will file a lawsuit on your behalf and pursue justice through settlement, jury verdict or appeal if necessary. The Wolfson Law Firm has served the citizens of Florida for more than 60 years. Our managing trial attorney is Jonah Wolfson. He is a bilingual personal injury lawyer in Miami and he is available to speak with you right now at (305) 285-1115. Our firm can help you and your family from the first call through settlement, jury verdict or appeal. We represent our clients and their families through the entire process.